Calendar Plugins are very popular WordPress add-ons, there are a number of uses for them from simply displaying a calendar with dates of your posts such as the widget which comes with default WordPress to events calendars for showing dates of upcoming events, appointment and booking calendars which are more advanced and will also include a booking system so site visitors could make an appointment with you on a certain date and time. Booking Calendars are ideal for making appointments for meetings, hairdressers appointments, hotel rooms, vacation rentals and so on. These type of booking plugins will also include a system to the person can make the reservation and even pay for it online, sending you the details through via email and making sure you are not double booked. Take a look at other collection of just WordPress Booking Plugins as well if that is what you need. Event calendar plugins can be used for organizing things like conferences, concerts, parties and other events. These can be used to display the dates of any upcoming events and again, they can also handle online payments and scheduling of tickets and so on. In this collection, we have picked the widest range of calendar plugins we would find, from the simple ones to the advanced events and booking systems. We have listed a number of premium plugins which are more advanced and include customer support. 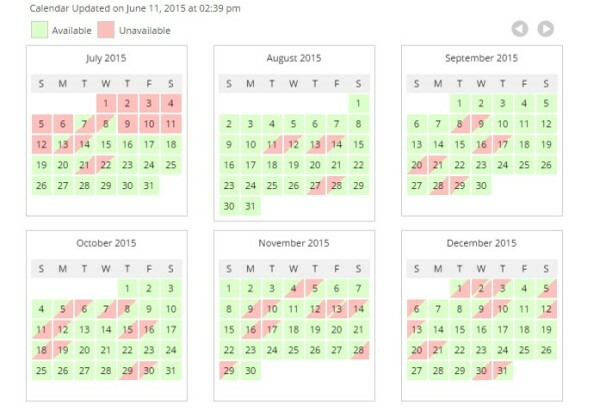 We have also listed a lot of Free Calendar plugins if you need something simpler. 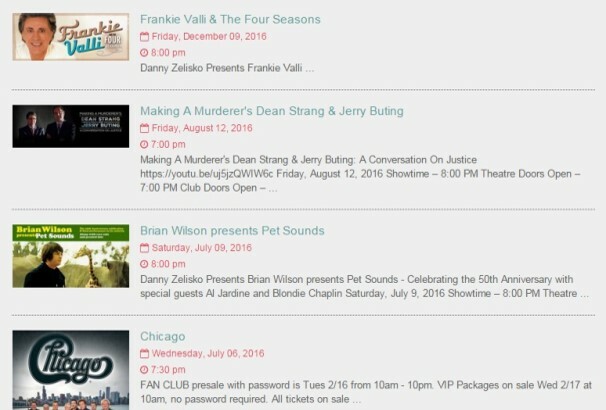 EventOn is a powerful WordPress event calendar. It has 200+ useful features, minimal design, responsive and vastly customizable to your need and much more. This plugin also comes with an interactive generator that makes it super easy to customize calendar options. It has various repeating event options such as yearly, monthly, weekly, daily, repeat by days of the week or custom repeat schedule can be set easily for events to repeat. It uses Google maps to display event locations and directions. By using this plugin, you can easily add simple booking system on your WordPress site in minutes. This plugin helps the administrator to create multiple services with a different time-table. It comes with an easy to use interface for a user. And User can also make multiple reservations and make the online payment via PayPal. 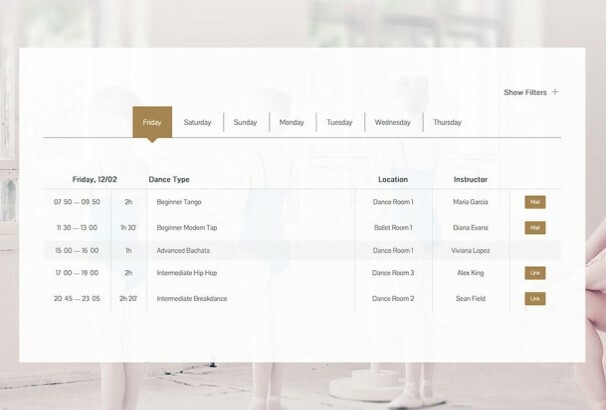 This booking calendar plugin is perfect for sports, courts, massages, appointments, services, meeting rooms and so on. This is a simple but powerful WordPress events calendar that has an elegant & sleek design. 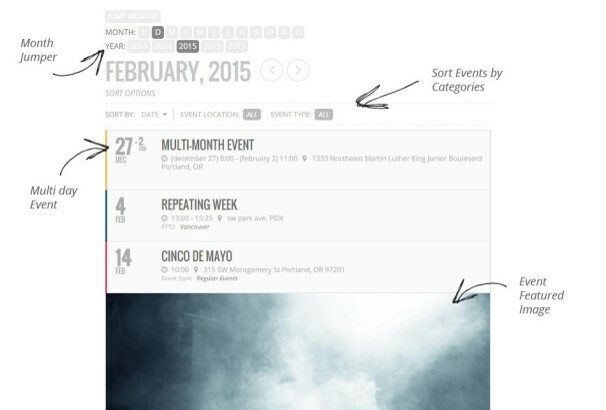 You can easily add an event calendar to your WordPress pages or posts with some easy steps. This plugin comes with lots of features such as upcoming events widgets, easy to customize, 100% responsive calendar elements and much more. 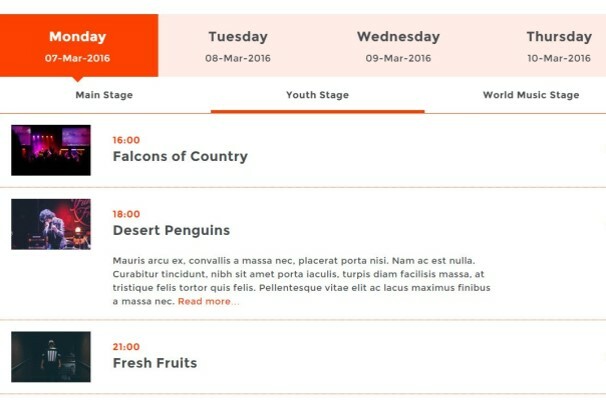 Timetable is powerful WordPress plugin which is perfect for sports events, business events, tour, seminars or festival events. 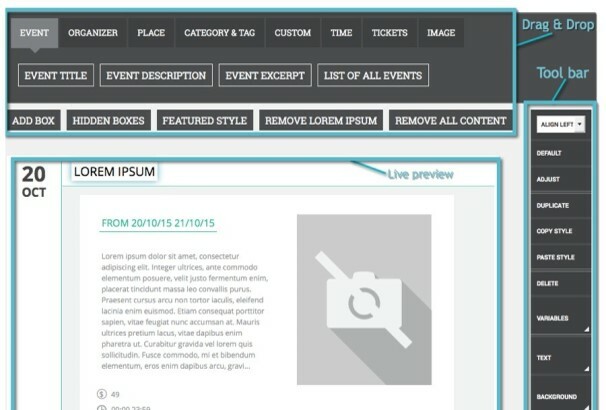 By using this plugin, you can easily show all of your events in your website in minutes. You can also export and imports all events to CSV. The admin can easily update, modify or add new events using an easy admin panel. This awesome plugin is built with latest technologies such as jQuery and CSS3. This is a full featured WordPress internal calendar that helps you to add events in WordPress pages or posts. It only requires a few clicks to set up the internal calendar. You can easily create, share or invite other users to your events and user will also get notification emails to get updates on the calendar. 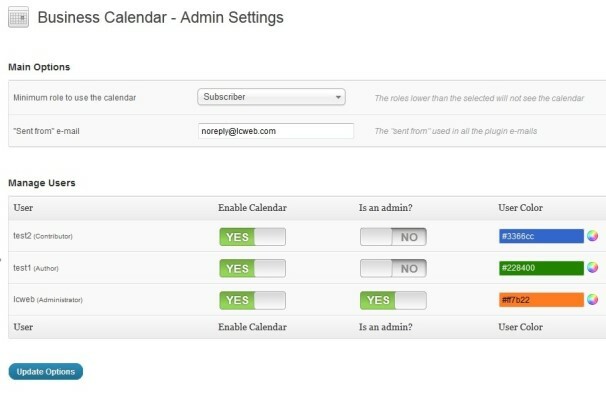 MB WordPress Calendar is a simple but powerful plugin for WordPress websites. 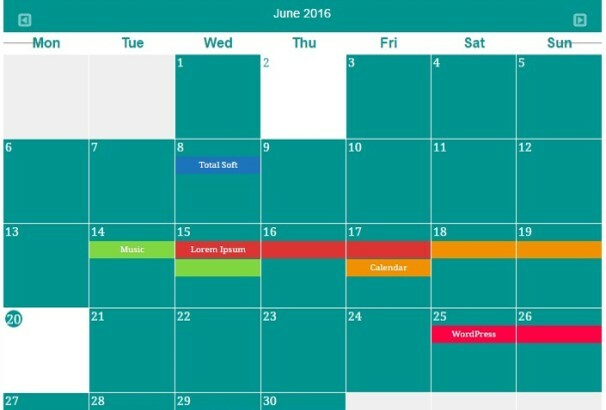 You can create unlimited calendars without having any coding skills. 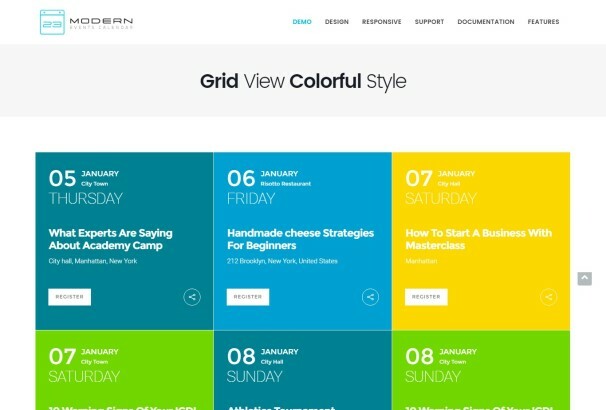 This WordPress calendar is 100% responsive and comes with 6 different color schemes. It also supports custom language and you are able to choose multiple calendars for the same event. This is another powerful event calendar plugin for WordPress. You can easily add or modify events, add a description, photos, videos and map for each event and much more. By using this plugin, you can easily add a powerful, interactive calendar system to your website in minutes. This plugin comes with lots of features such as an unlimited number of events, able to add single or multiple day events, date format switching, Google Maps integration, easy color management, adding photos and videos and much more. 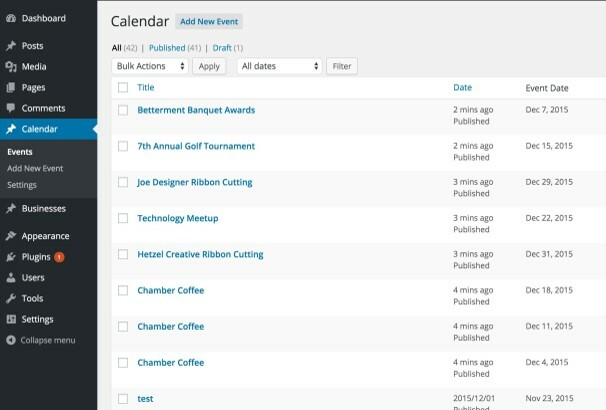 Event Calendar WordPress plugin allows you to add all of your events in WordPress pages or posts. By using this plugin, you can easily add an event to event custom post and embed using a shortcut. This plugin is 100% responsive, which means it works almost every device and comes with color management options. This is a very lightweight plugin and will not slow your site. 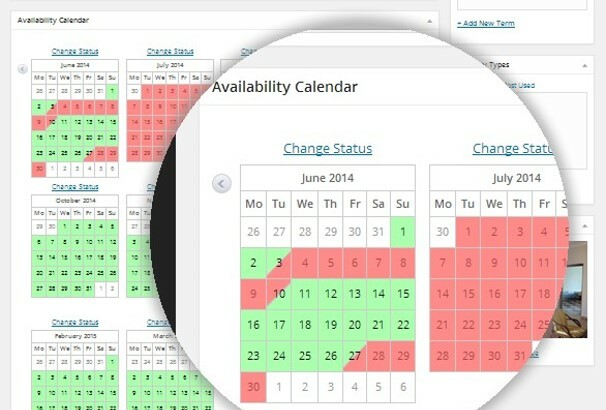 If you’re looking a responsive and powerful booking calendar plugin, then you’re on the right page. 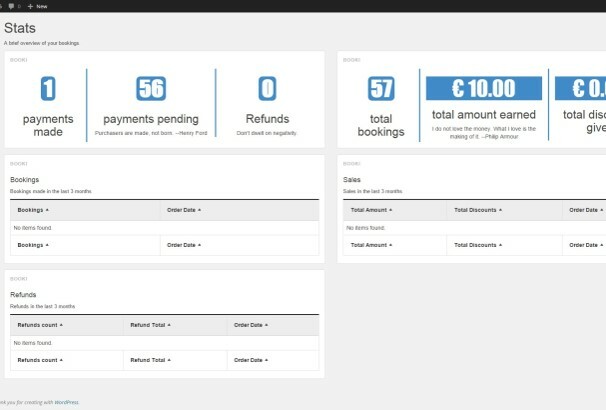 Booki is a perfect plugin for scheduling appointments for events, tickets, taxi services, parking service and other similar business. Main Features – Unlimited booking projects, stats overview, booking confirmation, booking cancellation, online payment integration, Google Calendar synchronize, attendee reports and much more. This plugin comes with a perfect solution for event managers, movie tickets, seminars, online events, workshop and any private or public events. It allows your visitors to register and book a seat for your event online and pay instantly online via PayPal or authorize.net. There are lots of premium features added in this plugin such as event registration, event list, events sidebar widgets, google maps integration, events overview, and responsive design and much more. 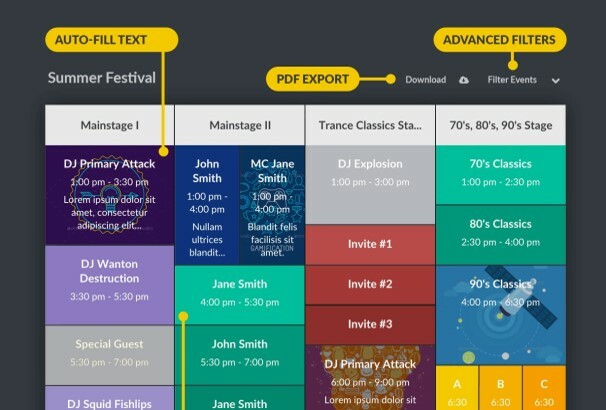 Chronosly is a powerful and fully editable event calendar plugin which comes with 15 customizable views and allows to customize the calendar using drag & drop method. It has a wide range of templates with 15 different styles. You just need to choose and apply. This plugin suits to all users, designers, software developers and basic users. 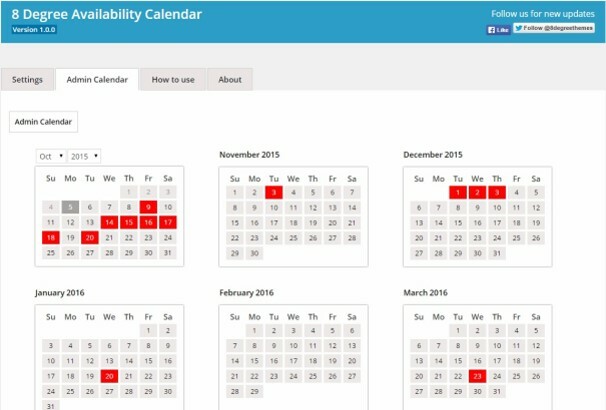 This is a simple WordPress plugin which allows you to create an individual availability calendar for each properly. This plugin comes with a clean interface which is very easy to use. This plugin also helps you to add availability calendars by shortcodes and you’re able to add the calendar anywhere on your WordPress site. 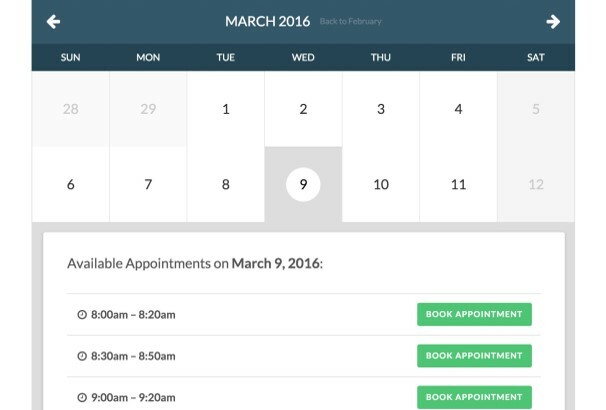 Booked is simple, clear and modern appointment booking plugin for WordPress. This plugin allows you to add as many calendars as you need with different time slots and custom fields. This plugin comes with lots of features such as – registered & guest bookings, paid bookings, payments with WooCommerce, custom field & time slots, customizable emails, calendar or list view and much more. This plugin comes with modern front end design and fully managed through the backend. Online payments also integrated with PayPal and Stripe. You can customize the layout using the modern customizable layout. This plugin is 100% response and works perfectly on every device and browser. This plugin comes with fully responsive and modern interface. 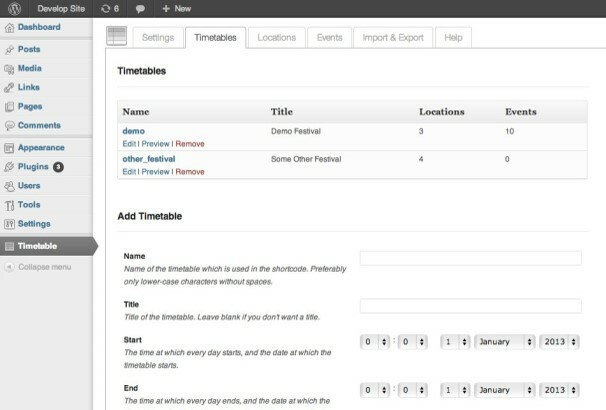 It has a live editor in the backend, so creating a timetable with events is not a difficult task with this plugin. Main features – Auto fill, text, Pdf export option, advanced filters, recurring events, image backgrounds, side by side events and much more. This plugin is very easy to use and manage, You’re allowed to change event colors and styles manually. 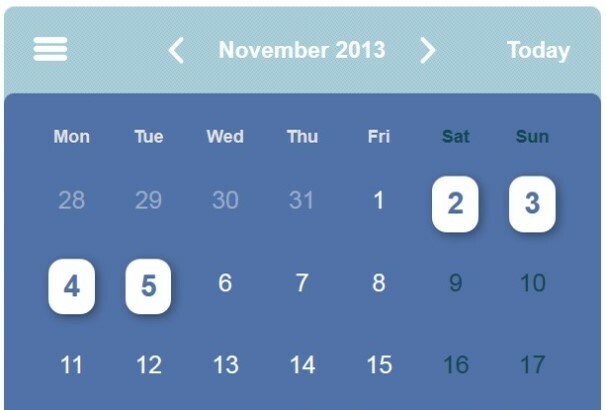 VR calender sync pro is a responsive booking plugin for WordPress. This is 100% responsive and its design looks great on any device. It can sync between your WordPress VR calender and any iCal or ics calender including Airbub, VRBO, homeway, Google and many more. It comes with many size and color options to fit your theme. It also includes booking module and take Paypal and stripe payments. This is a powerful events schedule WordPress plugin that comes with 10 different events schedule styles. This booking system is powered by WooCommerce. This plugin allows your clients to book and pay tickets for your events through Woocommerce. With the new booking functionality, you can use WooCommerce to sell tickets directly on your website. 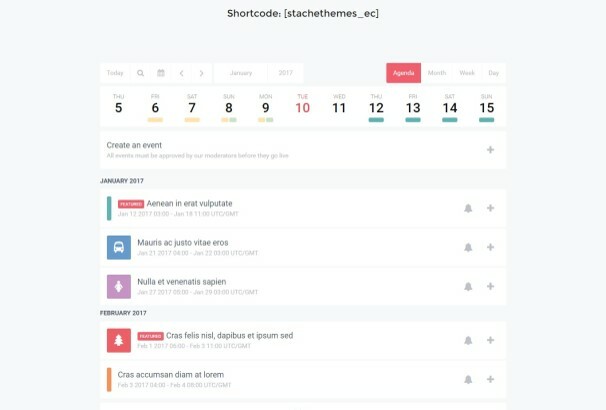 This plugin comes with the visual schedule builder. So you can set everything up with a few clicks. 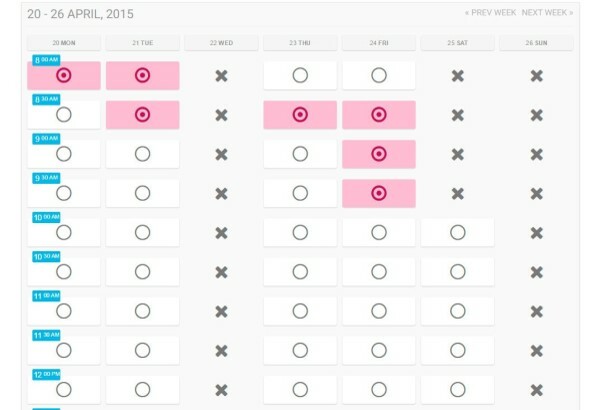 The schedule options are intuitive and easy to customize and place in your pages or posts. This is a responsive and effective WordPress event scheduler plugin that to create and add schedules for your events on your site within minutes. This plugin is suitable for musical events, meeting, conference, exhibition or any kinds of private or public events. This is the most complete event schedule plugin for WordPress. This plugin is very easy to use and manage for basic WordPress users. If you are searching for a powerful Facebook events calender for your WordPress site, then you are in right place. By using this plugin, you can display your Facebook events friendly, view events via calender or list style, quick view events inform with tooltip. This plugin comes with very user friendly interface. 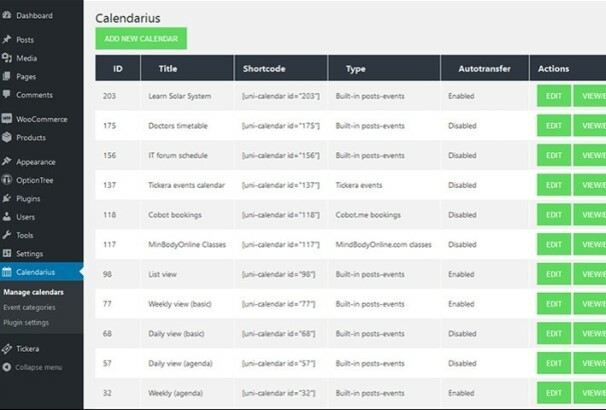 This is a perfect plugin for displaying all the events from your Facebook page on the calender. This plugin also has 2 layouts – full layout and compact layout. With Stacthemes event calendar you can include all kinds of information about your event like introduction section with detailed information including photo gallery, event schedule, guest list, location map and directions, weather forecast, merchandise and comments sections. This plugin comes with very interface and you can import and export files as well as load them directly from the url. You can also schedule cron jobs and import events periodically. It also comes with 5+ different content section and fully responsive to fit on any mobile screen. 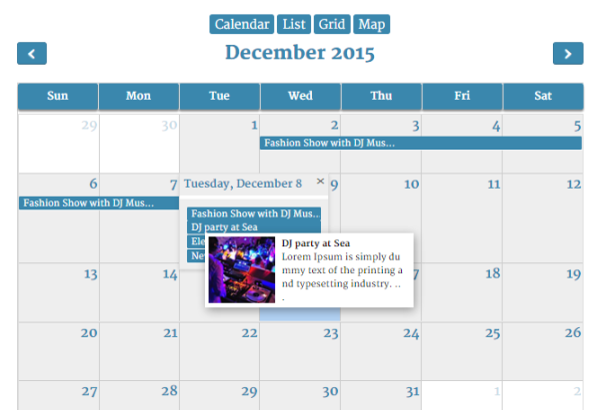 Tiva events calender is a powerful calendar plugin for WordPress. This plugin helps you to manage and display all the events on the calender. 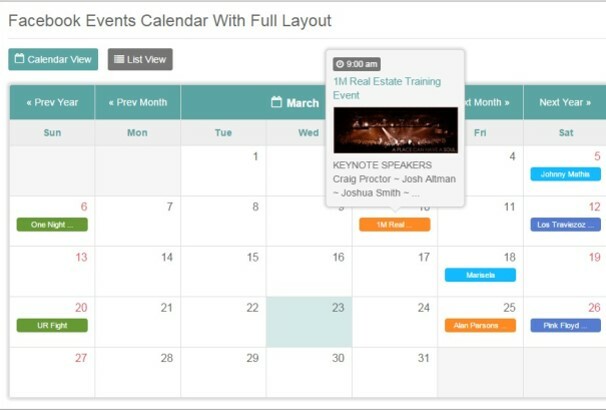 You’re able to display your events friendly and can view events via calender or list style. This plugin is very easy to use and manage. It comes with many style options and those are very easy to customize. It has 2 different layouts – full layout and compact layout. NOO timetable is fully responsive and mobile friendly WordPress plugin. It will be displayed perfectly on any device. This plugin comes with modern and flat interface. All colors can manually be customized, both calendar and item’s color. You can also add images on the schedule instead of colors. This is a super flexible WordPress plugin and all classes or events will be displayed in a very flexible way and time will still be shown beautifully on the schedule. This is a modern events calendar for WordPress sites. 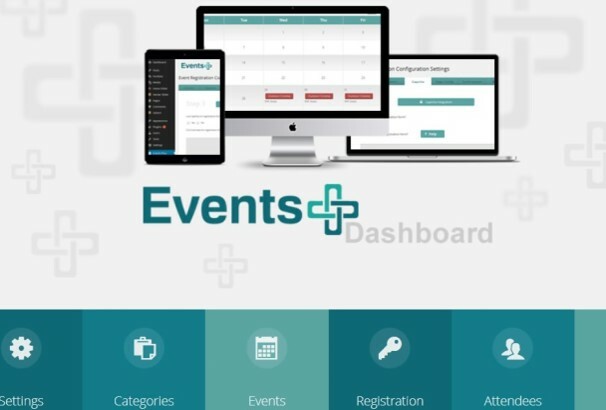 This is a powerful and easy to use events management system. It includes various calendar designs and has an advanced event reporting system. It has been created according to trending design methods and latest technology with an attractive design based on the practical concept of design. It has all features of event calendar as you desire with the advanced booking system and many other useful options which are practical in the real world. Other features – Google map, event features image, shortcode generator, coded perfectly, custom color skin, translation ready, event widget, event custom color, PayPal integration, repeat events and much more. This is 100% responsive and mobile friendly modern calender plugin for WordPress. You can easily display all the events in daily, weekly or monthly basis. 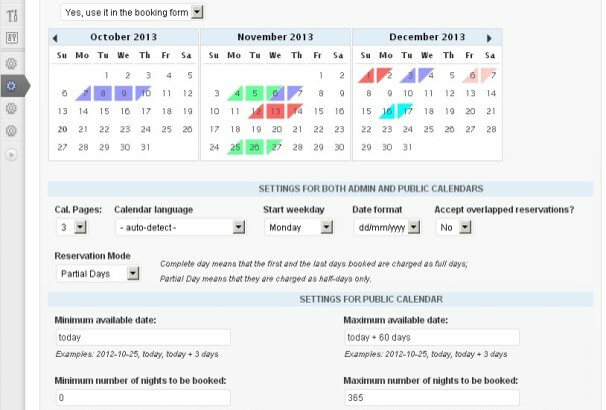 This plugin can display all of your information in a form of a calender, but doesn’t contain booking options. 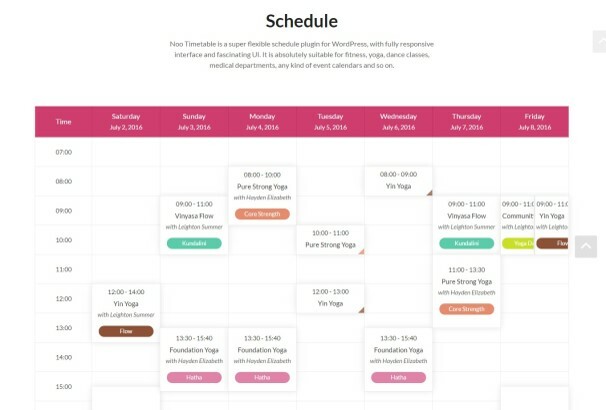 This plugin is suitable for any kinds of events calendars such as yoga classes, mucical events, dance, fitness events and much more. This is a free and responsive booking calendar plugin that helps you to show your available date and book a date. You’re allowed to show the calendar anywhere on your WordPress site. There are lots of pre-built features included in this plugin such as – Contact form 7 compatibility, front-end options to book a date, support short code, can be used as a widget, Multilanguage support and easy interface to use. 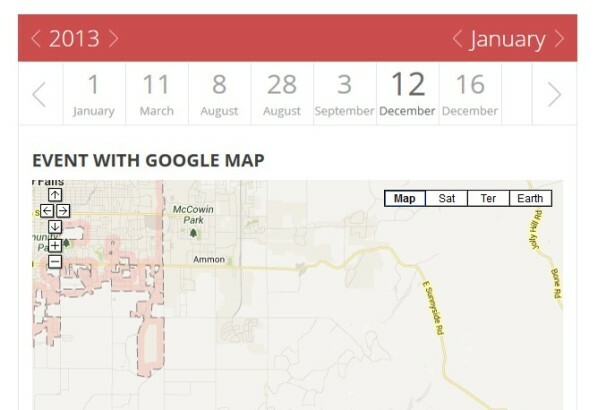 This plugin is perfect to display all of your events in a calendar with a map view. You can find all your events in Google map maker and also able to set the map from admin panel. This plugin comes with an easy interface so you can easily create and manage all events without having any coding knowledge. This plugin supports shortcode so you can place the event calendar anywhere on your WordPress site. This plugin comes with 4 different types of view – calendar view, list view, grid view and map view. This is modern and attractive events calender for WordPress sites. This plugin comes with mordern, agenda and pinborad style layouts which is highly customizable and blends perfectly into your site. This plugin comes with lots of features – highly customizable appearance, can be synced with google calendar, social sharing option, built in maps, directions, tag and search system, can use as a shortcut, can use as widgets and much more. 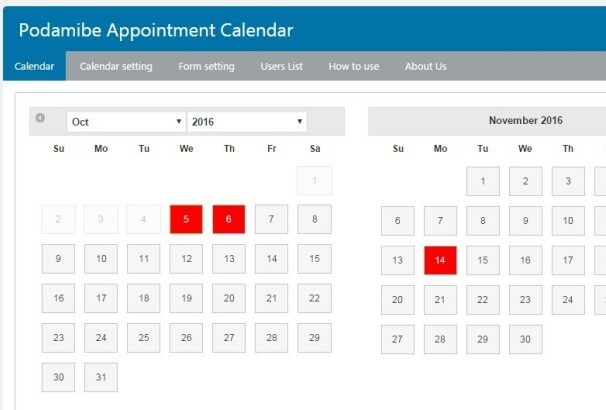 8degree availability calendar is a powerful booking calendar which can be used for availability check, booking and appointment booking. This plugin is 100% responsive and featured with great functionality which is built to simplify the user needs. This plugin is free to download and use. It has lots of features such as – Placement options, customizable color settings, flexible layout options, legend options, simple, user-friendly interface and much more. This plugin helps you to collect and manage registrations for your events. This plugin is suitable for managing events, classes, workshops, Meetups, groups, tournaments and so on. This is a free plugin which is highly customizable and easy to set up. 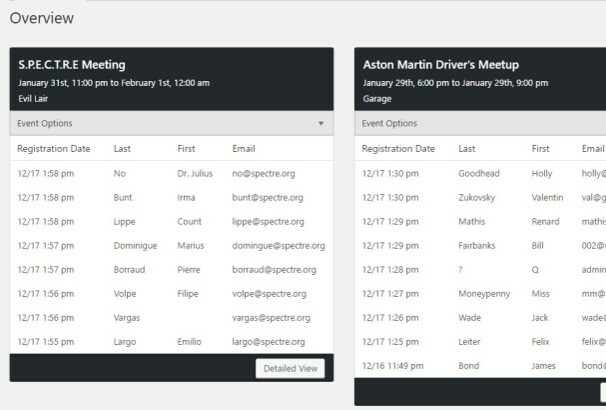 Main features – Easy registration process for events, customizable form, and messages, shortcodes supportive, responsive and user-friendly interface and much more. 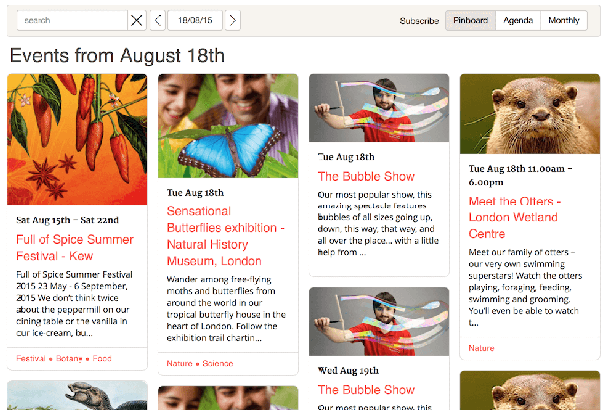 Smooth Calendar is a perfect solution to display events on a WordPress site. This plugin is very easy to use and manage. It’s a fully responsive WordPress plugin that works on every modern device. Main features – 1005 responsive, can quick view of events, flexible color management, google calendar integration. If you are looking for a responsive and powerful event calendar plugin, then this plugin is perfect for you. 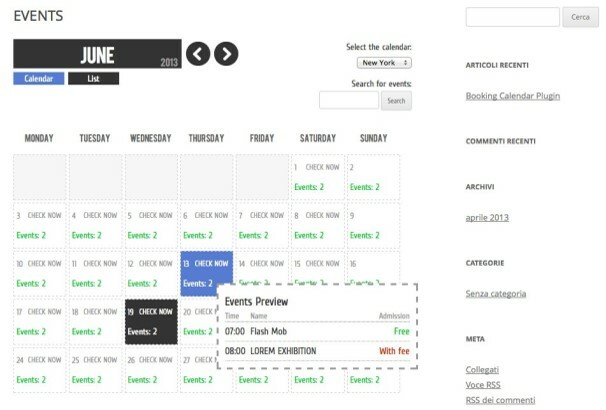 This is a powerful, responsive, scalable, mobile-friendly event calendar plugin for WordPress. This plugin comes with lots of features that can meet the most demanding needs. Main features of this plugin are responsive monthly view and detailed list view, adding unlimited events per calendar, social sharing supports, support shortcodes, can use as a widget and much more. This plugin helps you to create a classic contact form or booking form with a calendar. This plugin is 100% responsive and mobile friendly. There are lots of features included in this plugin such as – PayPal integrated booking form, season management, built-in captcha, configurable email texts, built-in form builder, notification email and much more. 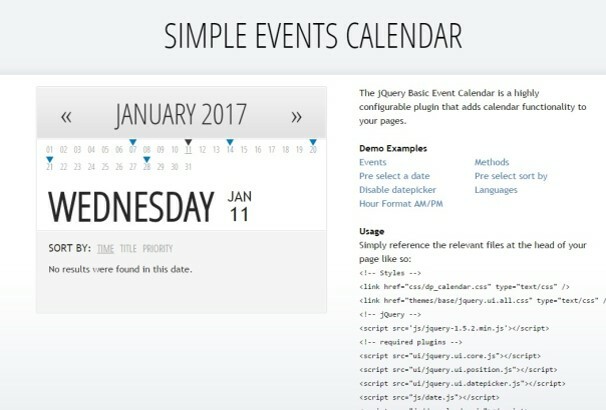 Calendar Event is a free WordPress plugin that allows displaying event days on your WordPress site. 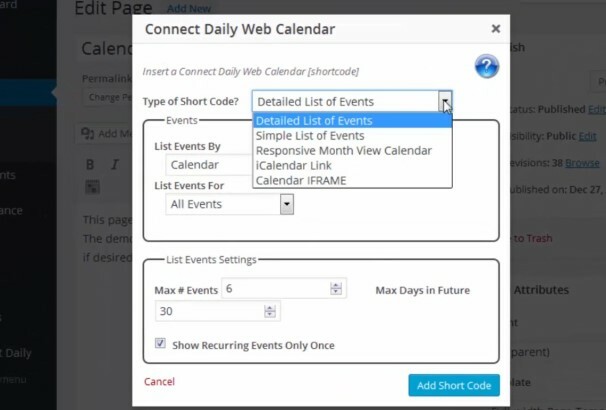 This plugin allows you to connect with the database and can render the calendar view with events. This plugin is 100% responsive and designed to be shown perfectly on any screen size. 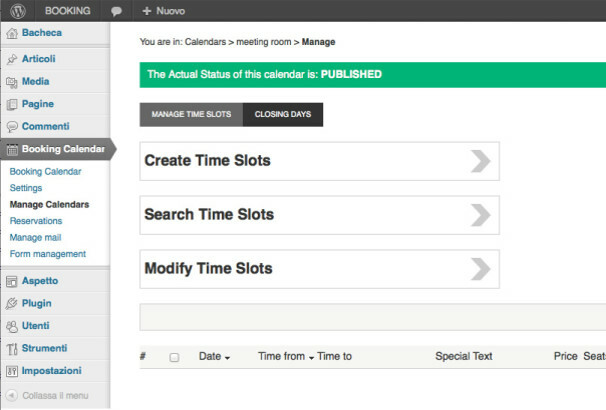 You’re allowed to add unlimited numbers of calendar and event categories for each calendar in minutes. This plugin is very easy to config and manage. you have an Awesome Blog Post and this event calendar plugins is one of my fav plugins.